Anyone looking to see all of Canada, there’s a way to see it in less than a day. 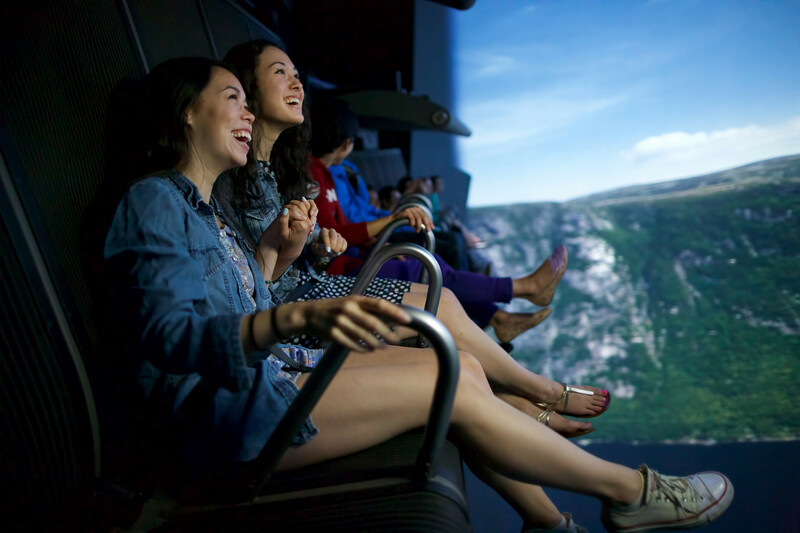 FlyOver Canada is a virtual flight ride designed to show visitors everything from the beautiful forests and mountains to the lit-up cities throughout the country in 25 minutes. The first of its kind in Vancouver, BC, FlyOver Canada recruited the renown Whistler-based adventure film crew, Sherpas Cinema, to capture and produce the video. The crew spent over a year collecting the footage. They wanted to get the beauty of the Canadian wilderness during all four seasons, plus the lights and sounds of cities like Toronto and Vancouver. But they didn’t get the overhead shots and dramatic dives via drones; instead, much of it is by a camera mounted on the nose of a helicopter. 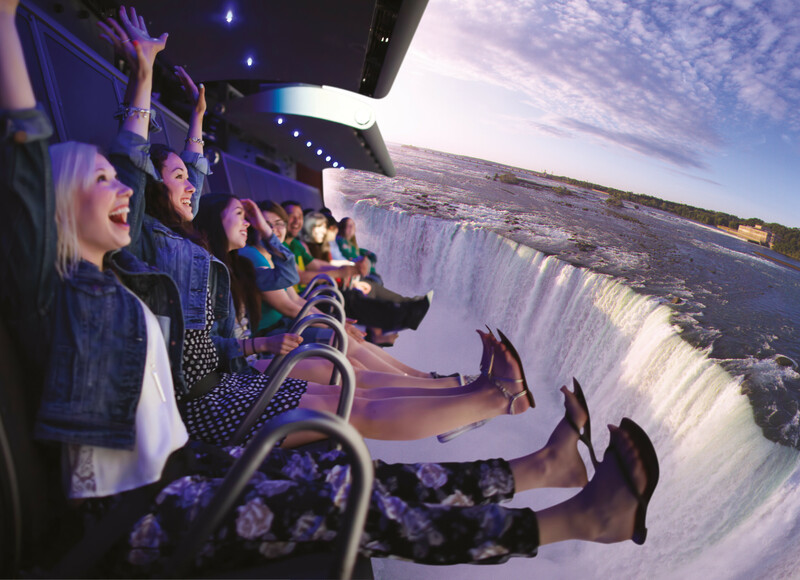 So, when the ride gets intense close-ups of a herd of galloping horses or Niagara Falls, it’s because the crew actually flew that close. It makes for a more realistic and memorable experience. Speaking of realism, it’s easy for riders to forget that they’re not actually flying over the country because the ride makes it as immersive as possible. The screen is almost 20-metres wide and as high as a four-story building. Because of this, the film had to be shot with a specially-designed lens custom-made in Germany, which took six months to make. Surround-sound and hydraulics makes it feel as if riders are actually soaring over the Canadian wilderness, dipping and weaving between mountains and trees. More than that, special effects are used to enhance the experience, such as mist, wind, and scents. It gives a more realistic feel to the adventure, especially while flying through valleys and rushing rivers. But while FlyOver Canada doesn’t see the technology changing anytime soon, that doesn’t mean it’s the same trip year-round. The pre-show video changes depending on the time of year; during the Christmas season riders will be treated to a safety video narrated by Mrs. Claus, complete with an animated trip to the North Pole to see Santa’s workshop. They’ll be tasked to help Santa find his missing elves during the flight across Canada, swooping over snow-capped mountains and through dazzling cities.